The riches of central Victoria were well known to its original inhabitants, the Dja Dja Wurrung people, who hunted among its iron box forests and scrubland. But it took two keen-eyed shepherds' wives, who found gold sparkling in the waters of the Bendigo Creek in 1851, to trigger one of Australia's greatest gold rushes. The quartz reefs beneath Bendigo produced more gold between 1850 and 1900 than anywhere else in the world. 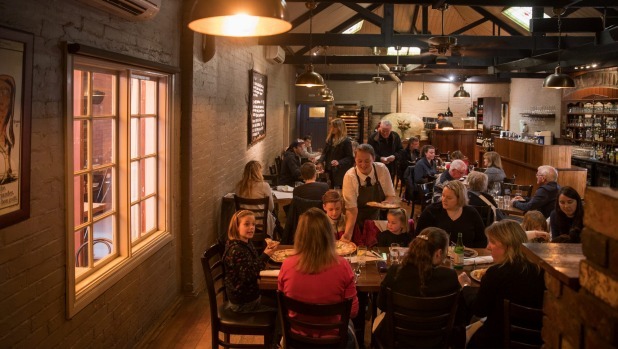 Bendigo's mineral wealth is matched by its culinary riches: award-winning restaurants serving local produce, cafes and bars housed in former gold rush banks, general stores and hidden in laneways, and historic pubs on almost every corner. Bendigo is deep in red wine country renowned for shiraz and cabernet sauvignon, while its mostly small vineyards also produce chardonnay and riesling. Dinner: The aroma of chef Paul Pitcher's river red gum grill hits as soon as you cross the threshold of The Woodhouse Restaurant. 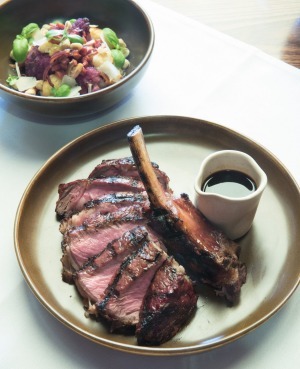 His newly renovated steakhouse is a carnivore's paradise of premium Wagyu and free-range dry-aged beef sourced from regional farms as well as a charcuterie selection of Wagyu bresaola, smoked Wagyu, jamon, chorizo, house duck parfait and rabbit terrine. Washed down with a smart list of local wines or Victorian craft beer, it is the ideal introduction to the city's paddock-to-plate food culture. Drinks: Some of Bendigo's finest Victorian-era architecture can be admired from the comfort of a cocktail lounge. Rocks on Rosalind is housed in the historic National Bank building, built in 1863 as the first bank for gold unearthed in Bendigo. Co-owner Finn Vedelsby will also point out the bullet hole from a past bank robbery as he offers liquid refreshments from his extensive wine and cocktail menu. Chef Ben Massey has also devised an eclectic menu that dips into the ocean with lobster rolls and scallops, jumps the farm gate with steak and pork belly and sweetens the tooth with desserts including pear and apple charlotte, and peanut butter ice-cream tart. Dart across View Street into Wine Bank on View, another gold rush bank transformed into a bar and eatery, with regular tastings and a lengthy wine list to get friendly with. Breakfast: Have a hearty feed, while feeling virtuous at The Good Loaf Sourdough Bakery & Cafe. The Good Loaf bakes sourdough without preservatives and additives and supports various community-minded culinary activities. Melbourne is renowned for its laneways, but Bendigo has its own hipster hideaway in Chancery Lane. Royal Jims offers a cut-throat shave and beer, while Robe is packed with designer clobber for the fashionably-inclined. 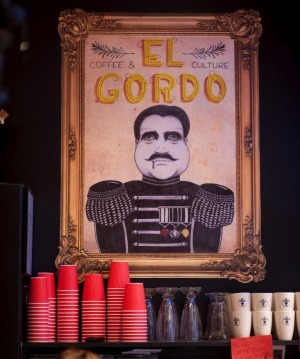 The laneway also harbours El Gordo, a Spanish cafe dishing up bocadillos and tapas, backed up with breakfast cocktails. Its laneway neighbour The Dispensary is worth a nocturnal visit to work through its lengthy list of aperitifs, cocktails and boutique beer. Its wine list traverses the world from Mornington Peninsula and Macedon Chardonnays to Argentinian Malbecs and back home for Central Victorian big reds. Pull up a milk crate and admire the art while fortifying yourself with a caffeine fix from Brewhouse Coffee Roasters. Pick up a bag of the local coffee roaster's beans from Brazil, Columbia or Ethiopia. Drop into Indulge for a Belgian hot chocolate and handcrafted chocolates before dodging Bendigo's vintage trams, which rattle past the Alexandra Fountain, Sacred Heart Cathedral and the city's fine Victorian-era architecture. Lunch: Pastry chef Marsha Busse will make you go weak at the knees with her buttery croissants and mouth-watering pastries at Harvest Wine and Food. Lunch fare also features meats prepared in the restaurant's rotisserie that are dished up with salads and milk rolls baked with Busse's expert hands. Harvest also serves as the cellar door for winemaker and Busse's husband Lincoln Riley's North Run and Foster e Rocco labels. Shop for local produce at Bendigo Wholefoods, Edwards Providore or if your timing is right, the Bendigo Community Farmers Market, held on the second Saturday of each month. Or sign up to a Food Fossicking Tour to discover the city's culinary hotspots and history. Chinese gold miners called the central Victorian goldfields Dai Gum San or Big Gold Mountain. Their legacy is commemorated in the Golden Dragon Museum and Yi Yuan (Garden of Joy). 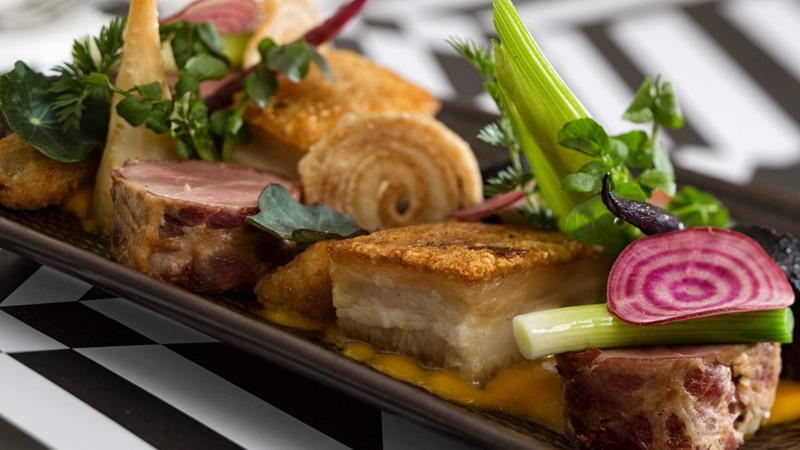 Dinner: Paddock to plate is the ethos of Masons of Bendigo, which has earned its Good Food Guide chef's hat for a menu of exquisite dishes starring fine local produce from microherbs and edible flowers to the impressively-striped Galloway beef. The award-winning husband-and-wife chef team Nick and Sonia Anthony are convivial hosts, championing local vineyards with a selection featuring Central Victorian wine regions and Victorian craft beers. Breakfast: Colonise a table under the verandah or in the courtyard of Percy and Percy. Named after the grocery store opened by Percy Watts in the 1920s, the cafe is ideal for a lazy Sunday brunch of smashed avo, goat's cheese and banana hotcakes with macadamia brittle and butterscotch sauce. For the truly ravenous, the Spring Gully General Store offers an all-day breakfast of classics (eggs benedict, waffles) and the inventive (matcha ice-cream sandwich). Work up an appetite by walking or cycling The Goldfields Track, a 210-kilometre trail that links the old gold rush towns of central Victoria as it weaves through the Iron Box forests and rocky scrubland between Bendigo and Ballarat. Or turn yourself into a beer baron by creating your own pale ale, lager or other beer at True Brew. Lunch: A moment on the lips is worth the lifetime on the hips at Boris Murger. The burgers are made from beef farmed locally at Barfold and served on brioche buns with garnishes limited only by the imagination. Sauerkraut is the star ingredient in the polish murger, while chilli mayo and jalapeno relish put the sizzle in the hot murger. Spend the afternoon at the Bendigo Art Gallery, one of finest regional galleries in Australia, famed for its blockbuster fashion and design exhibitions such as Marimekko: Design Icon, which opens on March 3. The Gallery Cafe offers coffee and cakes with a view of Rosalind Park, filled with statues, fountains, a fern grotto and towering elms, oaks, Queensland kauri and teak, some planted in the 1800s. Or hit the road to discover Central Victoria's wine regions. With more than 60 cellar doors and endless grape varieties, make sure you have a designated driver and a bottomless credit card to souvenir the latest harvest. Dinner: Built in 1857, the Tooboorac Hotel is the oldest heritage-listed pub in country Victoria. It is also home to the Tooboorac Brewery, which produces pale ales, lagers and a chilli chocolate stout that deserves sampling. The pie shop offers sustenance (beef and ale, lamb and shiraz, rabbit ramble) between schooners or stay for dinnertime and order a parma or chicken schnitzel to round off the weekend. From books and craft beer to blues and roots, Bendigo has a busy calendar of events to keep visitors amused between meal times.